This post marks the first edition of the 'Carole's Picks' series, a feature which showcases Carole Feuerman's favorite fellow artists and their work. A new artist will be added to the list each month; the growing roster grants a peek into Carole's personal artistic taste, while introducing readers to great artists from all over the world. 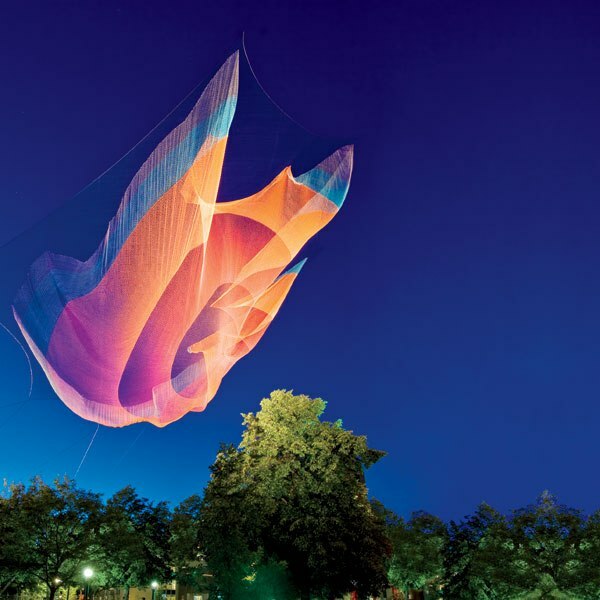 Carole's Pick for this month is Janet Echelman, an American sculptor who creates suspended pieces which reshape urban environments and react to water, sunlight, and wind. 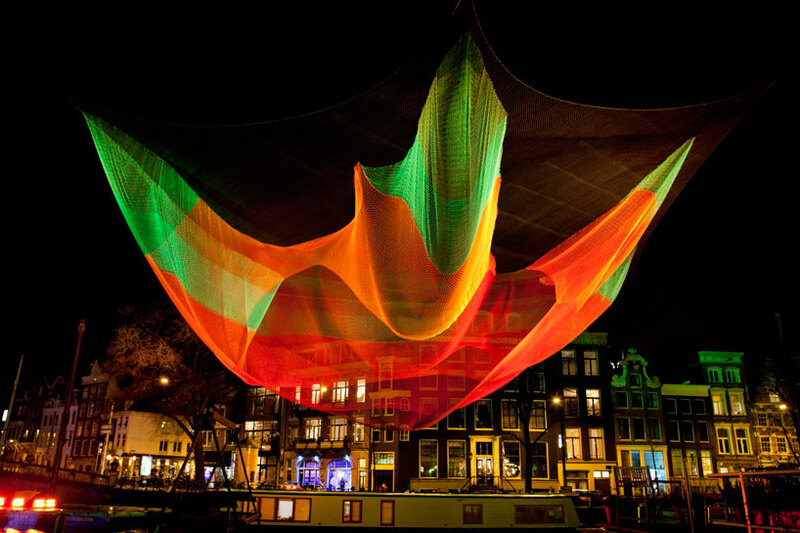 Echelman's works are typically exhibited in public metropolitan locations. Her works have been shown in big cities such as Phoenix, Vancouver, NYC, San Francisco, and Porto, Portugal. No matter where an Echelman piece is installed, it seems to have the same effect on its surrounding area- a mysteriously potent and joyful energy pours out from every edge of the work. Passersby stop to marvel at the ethereal wonder before them, taking pictures to capture those radiant colors floating up above. 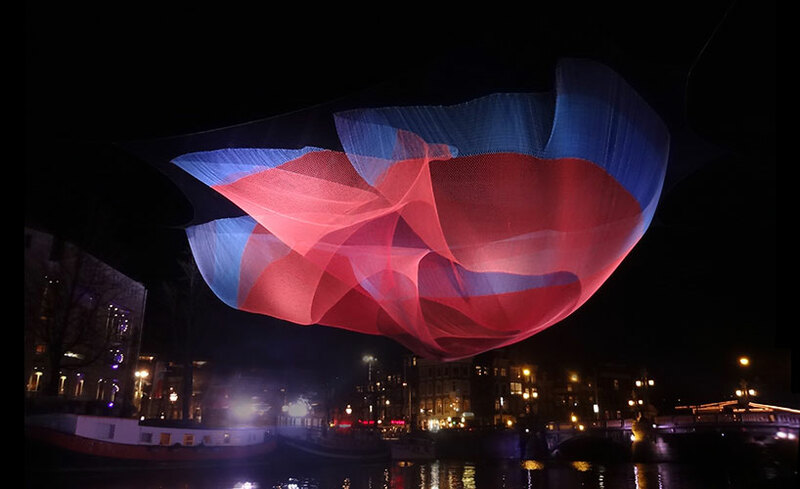 However beautiful they might be, the purpose of these sculptures is not merely to decorate a public area; Echelman seeks to emphasize the wonders of nature by constructing her pieces to react to the elements. 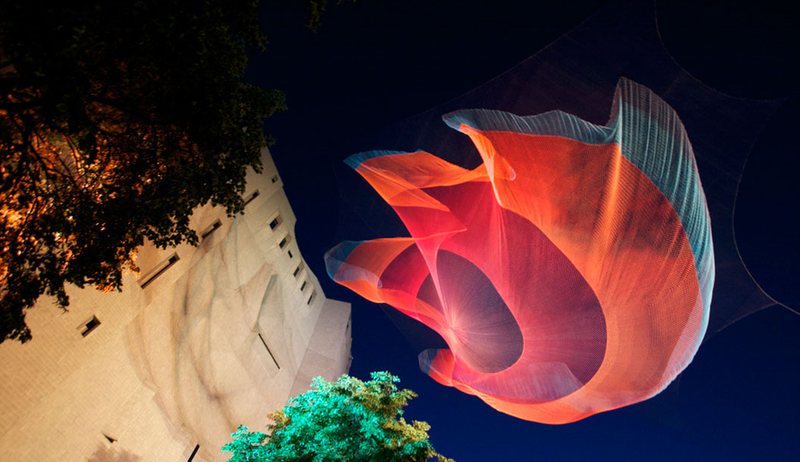 You can learn more about Janet Echelman's work by visiting her website.